Remember, until midnight tonight (U.S. Eastern time) , you can get the 50% off the 6-Month and Lifetime Atlas Line. 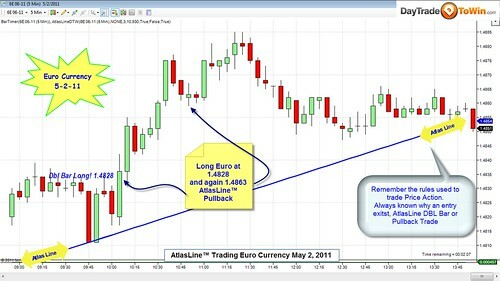 The Atlas Line recognizes perfect setups (like the ones below) on a daily basis, letting you know in advance when and how to enter the market. 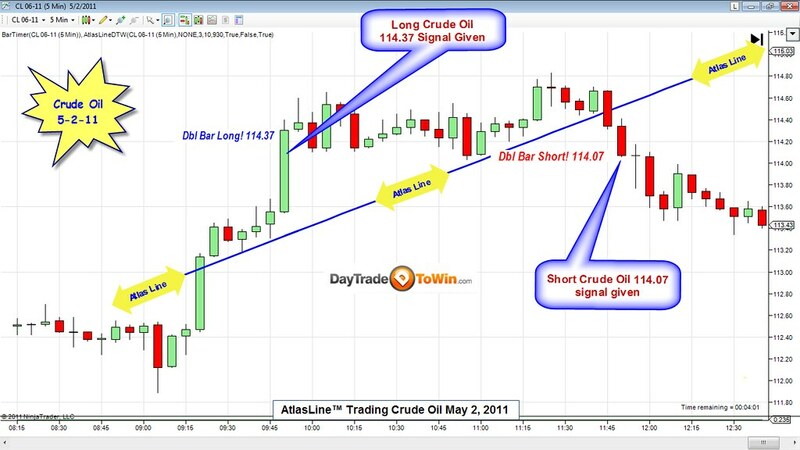 Since the Atlas Line is a price action reference tool, you don’t have to worry about it lagging like an indicator. Three trades for a total of 2.75 points. All trades occurred before noon. 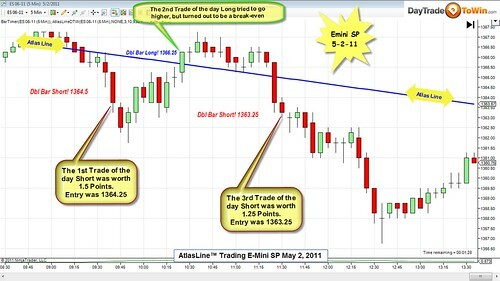 Many traders probably went short once they saw the big red candle at 9:46 a.m. Atlas Line traders knew otherwise – the Long signal and angle of the Atlas Line kept us on the correct side of the trade, going long for a few points. 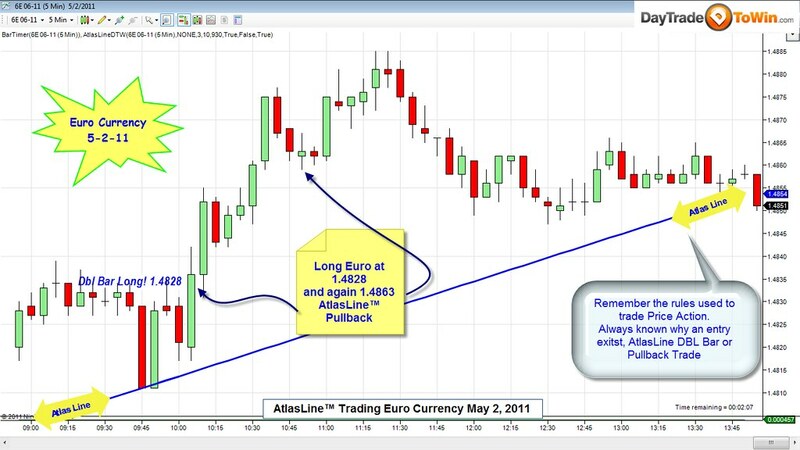 This type of setup is called an Atlas Line Pullback and is taught in the live workshop that is included with purchase. 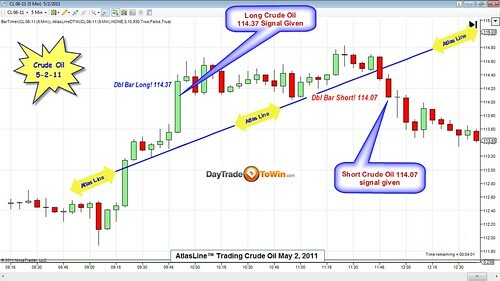 Once the Atlas Line was plotted and the Long order signal was given, we knew trading Crude Light was going to be worthwhile. You can see how the line intersects price at the exact moment when going long is the best idea. Using the Atlas Line is almost like having 20/20 foresight. 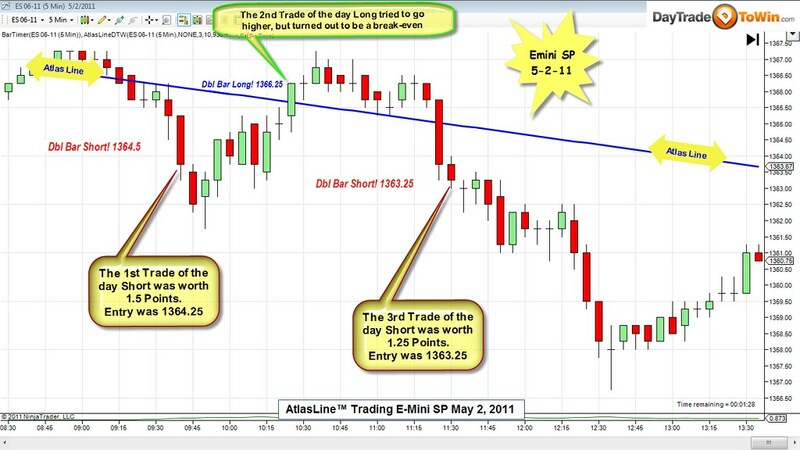 i day trade the emini s&p and crude oil and the euro. this will help me filter out bad trades if nothing else. can it be applied to the russell too? so accurate of a method! hardly believeable, great job wow.